Say what? Jesse Jagz says he is not a good rapper. ~ CK Jacob: Nigerian Fiction And Lifestyle Blog. Say what? 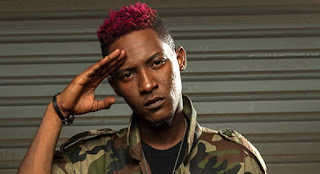 Jesse Jagz says he is not a good rapper. believes that he is still learning and would love to associate more with other rappers. “I don’t think there is anyone to compete with, because I don’t see myself as a very good rapper. I would probably like to stay at a place with a lot of rappers and listen to them rap so as to learn from their craft,” he told Vanguard. I believe he is one of the best. Jesse is my number one Nigerian rapper. His song 'bad girl' remains one of my favorite.